SBN has created web based asset tracking software to help organizations keep track of their valuable or critical assets. 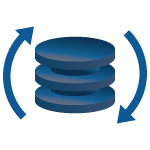 A database stores information on each asset of interest. 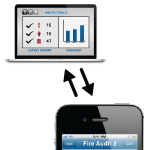 Workers in the field can check on one or more assets or complete a full inventory reconciliation using mobile smart devices like their iPhone or iPad. The mobile asset tracking system allows the users to scan a barcode or simply type in an asset identification code in the field, regardless of WiFi connectivity, and they then have access to all the information in the database about that item. They can edit the information, and once back in a location with WiFi connectivity, the database will be automatically updated. Don’t trust us. Trust your experience. Use our product for a pilot project. We are confident that you will see the value of our solution to your organization.